from the scalp. 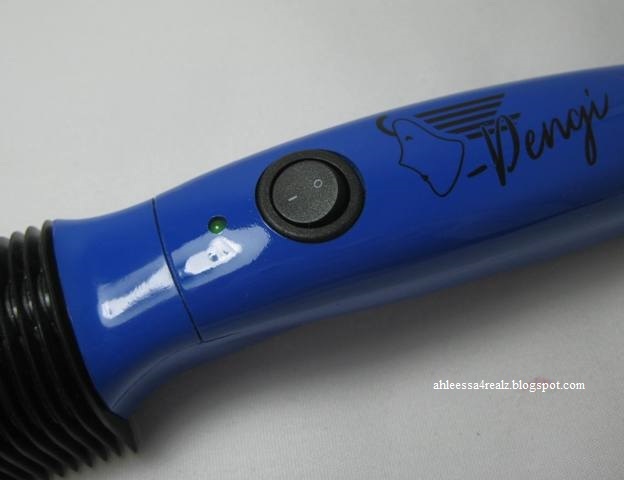 The Dengi is perfect for styling, on beards, and is safe to use on kids due to its unique "no-burn" design. Thoughts: When I received this product, I was excited to try it out as soon as I got home. 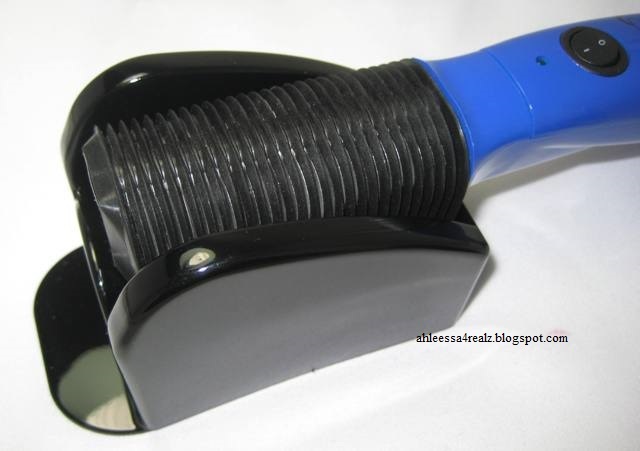 Originally I used it to lift the center of my head, give me volume, since I have super straight hair with no body. Since I don't have anyone to take pictures for me, I have to do it myself. No matter how many pictures I took, I couldn't get the center of my head to show the bounce in the roots. With that said, it was amazing in person. I never thought I would get body near the roots. Recently, I got layers and I've been using this tool to curl the ends. 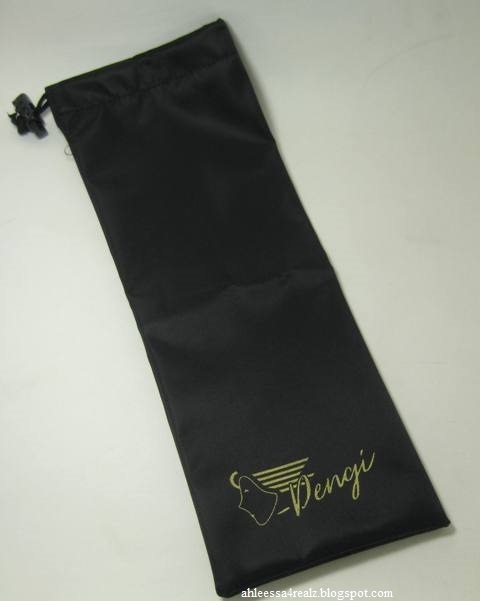 Here's a closer look at Dengi Hair Iron. It comes in gold, black, blue, and red. Here's a closer look at the button. It comes with on/off switch and the green circle next to it turns brighter. Here's a closer look at the hair tool. One side of the hair tool had an curve to match the curve of the head. Here's a closer look at the swivel cord. Here's a closer look at the cord. It comes with a piece you put the hair tool on. I'm not too sure what this is called. Here's how it look with the hair tool on the piece. I'm not too sure if I'm putting it the right way but I'm assuming if you hand the piece up on the wall, this should be correct. Here's a closer look at the tiny comb to clean the hair tool. It also comes with a bag to put the hair tool in. Here's how my hair is normally. It's super straight. 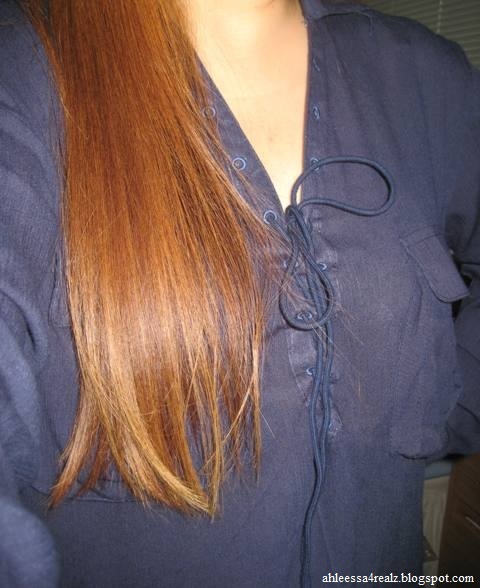 Even though I recently cut it in layers and a little bit shorter, it's this straight. After using the hair iron, there's body on my roots and layers. I have Dose of Colors Desi X Katy The Girls Palette and MAC eyeshadow in Mulch on the eyes, and MAC Matte Lipstick in Derrier on the lips. Here's the ends and you can actually see the layers. Now for my overall opinion... First of all, the packaging is pretty and unique. It stands out or at least it does for me. The handle, blue part in my case (my favorite color), comes in four colors. 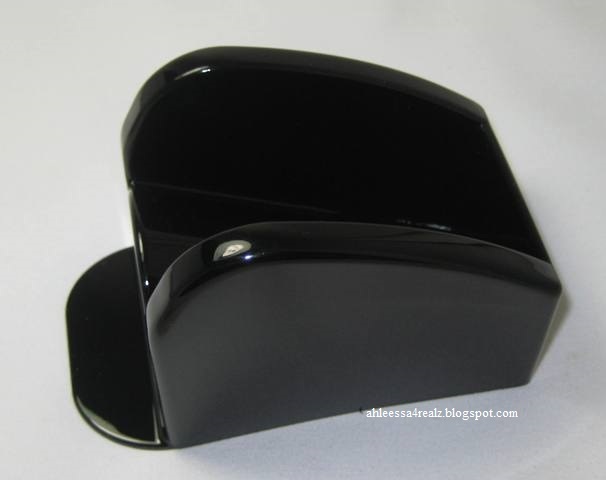 It has a slight curve which makes it easy to grab with the curve of our hands. There's also one button, on/off, to simplify how to use the tool. The one button tells me there's one heating level. I searched through the website, as well as, the box it came with and I believe this is the heating level; 120V, 60 Hz, 48 W (steady-state wattage: 20W). I cannot guarantee since I don't completely understand what it means. The CEO told at CosmoProf but I cannot remember. 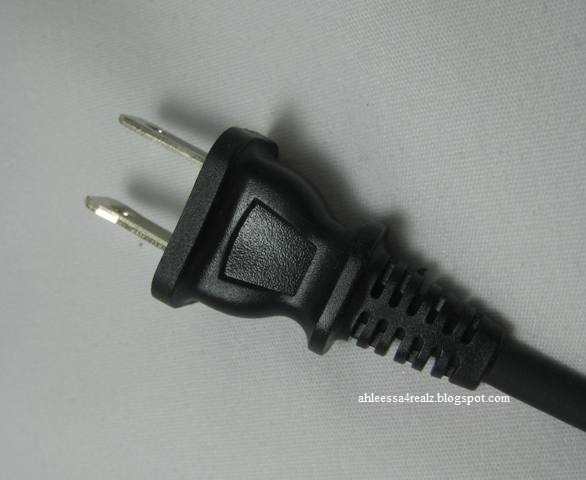 The cord is long enough and can be used at home, as well as, businesses. Thankfully nowadays, most cords are swivel. This is a huge plus for me because I cannot stand cords getting tangle. It might just be me. With that said, it's well-made and sturdy. Here's the unique part. The heating iron itself is different in every way possible. For one it had ridges in-between to look like a comb. 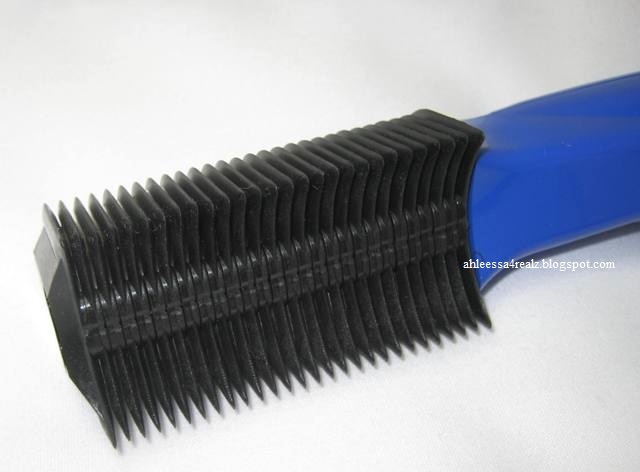 I have seen heating irons that look like brushes but never a comb. You grab small section of hairs but that's with every heating tools. It actually makes sense you have to comb before you volume/curl your hair. The shape is also unique. 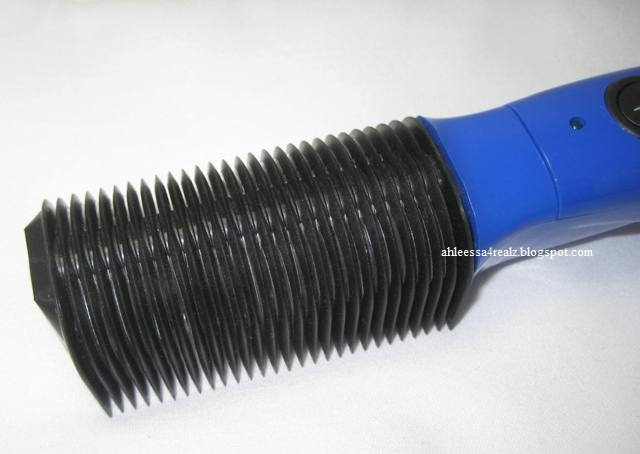 The heating tool is round most part except one side; it curves inward. The inward curve helps get close to the roots. It's the shape of our head and chin. It also comes with extra parts not part of the heating iron itself. There are a plastic display, tiny comb, and a firm bag. The plastic display is to put the heating iron so you don't have to put it on the floors, counters, and so on. I believe you can hang the plastic display on the wall which will make it more easy to access the heating tool. This will be great for professionals. The tiny comb is to comb in-between the ridges of the heating tool. To be honest, I haven't used the tiny comb since there is nothing to clean between the ridges. I'm so glad it comes with a bag. The bag is the perfect size to fit the heating tool with the cord. It fits snugly but at the same time, it's not hard to put inside the bag. For that reason, it's travel-friendly. It'll be easy to throw in your bag, suitcase, or just carry the bag itself. Secondly since the day I got it, I've been using it to give me volume on the roots. Before I talk more about this, let me tell you a little about my hair. I have super straight hair with no body whatsoever. It's extremely flat on top. Even if I blow dry and give volume on the roots, it lasts for an hour. Since there's only one heating level, it's warm enough to do it's job but at the same time can get close to the skin without burning. Most tools come with different levels. The lightest isn't strong enough to quickly give volume, and the highest is too high and burns the skin. The CEO found the perfect heating level that you can actually use on children and not burn them. While I was at the booth at CosmoProf, I saw the CEO use it on a man's beard. She straighten the beard and I was impressed. That's how gentle this hair iron is to use. Also, the inward curve helps get close as possible. Third and recently, I got layers. Going back to my hair type. I've always had layers since college and no matter what, it doesn't show unless I curl the ends. I just don't have the time, as well as, lazy to spend so much time curling with blow dryer and round brush. I decided to give this hair iron a try and it's made a big difference. I just comb it straight and curl the ends for couple of seconds. 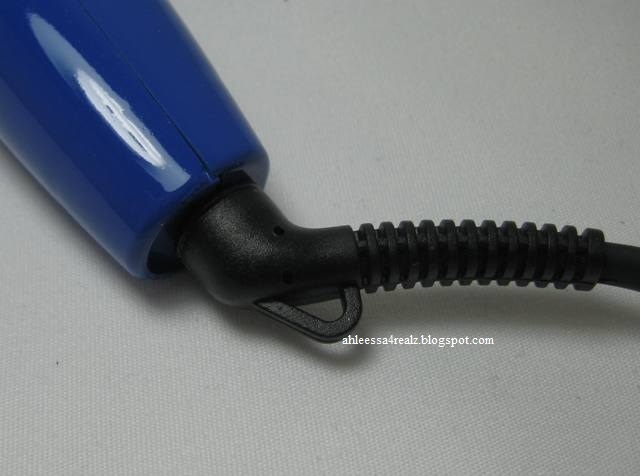 Then I use the other hand to hold onto the hair on the hair iron. It's that easy. You can also use the hair iron to straighten. At CosmoProf, I saw one employee straighten a customer's curly hair. It didn't take that much work to straighten. She just comb the hair and then slide the hair iron section by section. It was quick, and the hair was smooth and shiny. Lastly, the curl lasts for couple of days until I shower. Volume is a different story. The next morning it's gone. With that said, I have to use hair products to be able to keep it lasting longer. I apply gel beforehand and hairspray afterwards. If I use a higher heating tools, I don't need that much hair products. 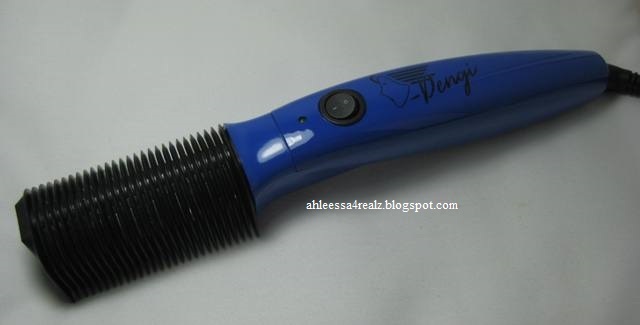 It'll last as long as Dengi but the high heating tool will damage the hair. Dengi is gentle on the hair. 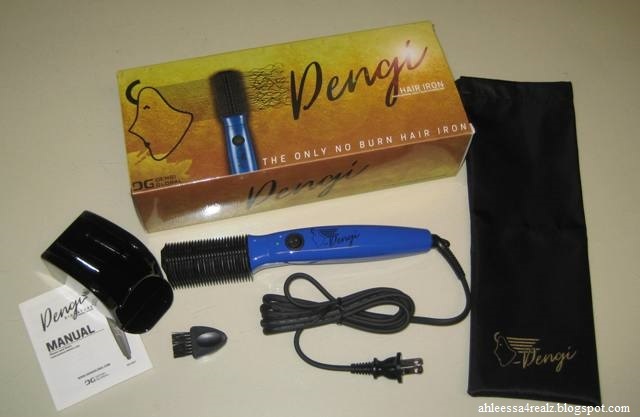 Either you use a high heating iron and damage the hair, or use Dengi that is gentle on the hair but needs more hair products. Since I'm getting older in age and having less hair, I rather be gentle but this is a preference! * Pretty and unique packaging. * Comes in four colors. * Handle has a slight curve; easy to grab with the hands. * One button; simplicity to use the tool. * Comes with one heating level; so it won't burn the skin. * Long, swivel cord; doesn't get tangle. * Ridges in-between making it looks like a comb. * One side is curved inwards; get close to the skin. * Comes with a plastic display; to put the heating iron. 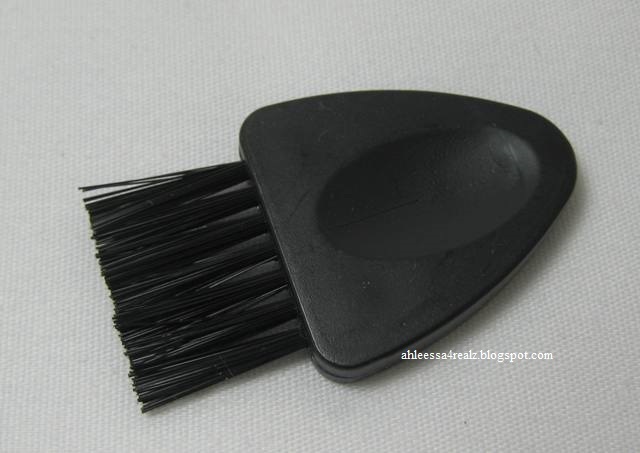 * Comes with a tiny comb; to clean in-between usage. * Comes with a bag; to put the hair iron. * Gentle; can be used on children and beards. 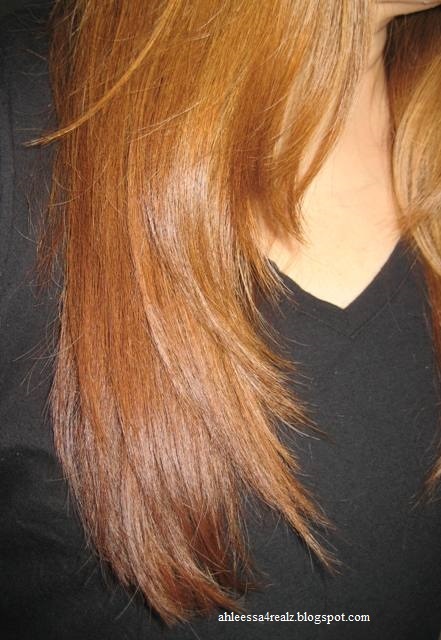 * Hair looks soft, smooth, and shiny. * Need more hair products to keep the curl.